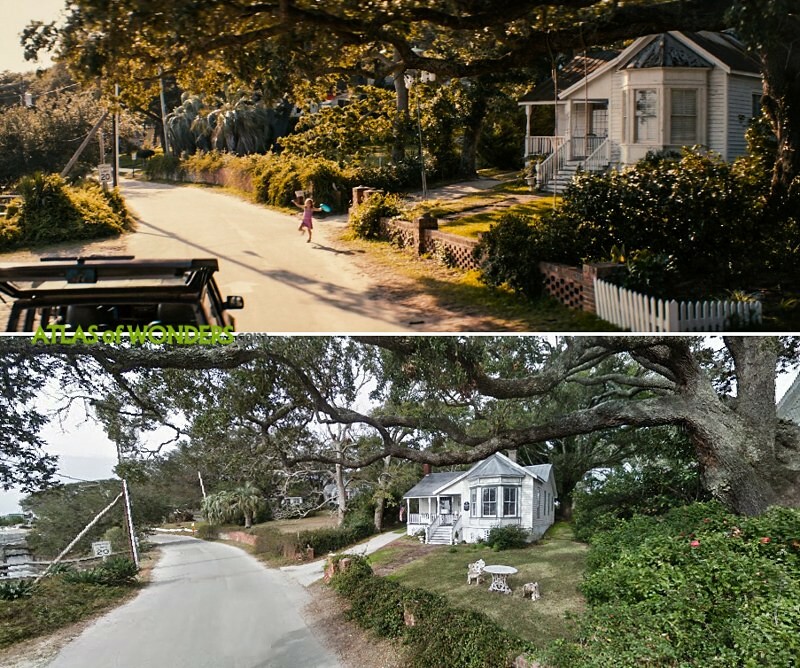 Filming Locations: Where was Safe Haven filmed? 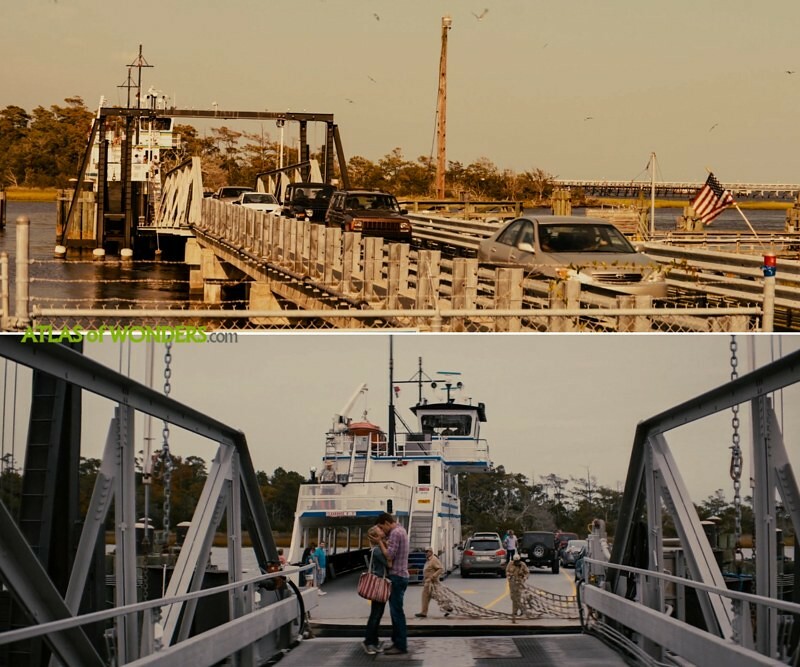 Safe Haven, the movie from 2013 inspired on a novel by Nicholas Sparks, is a classic romantic tale set in a gorgeous real town called Southport. 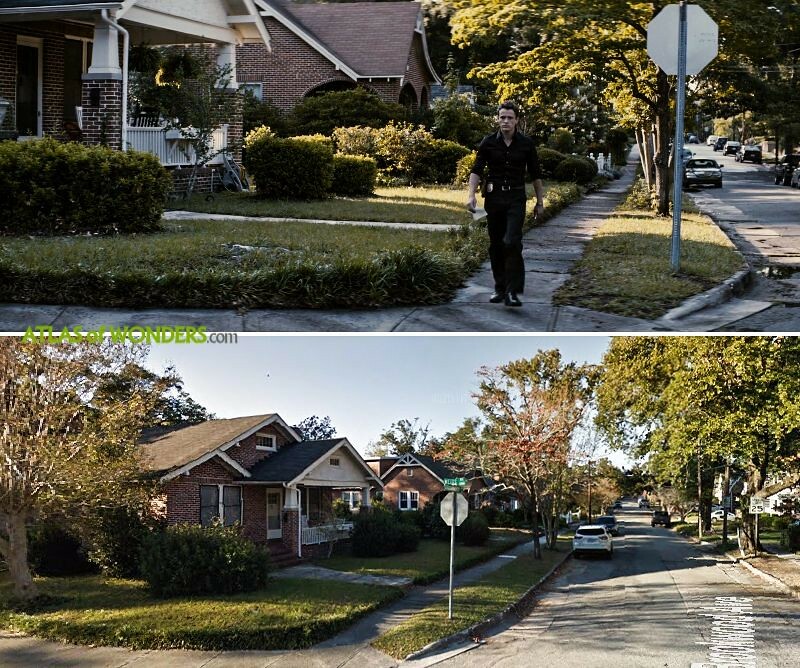 This village is situated somewhere south of the Mason–Dixon line, as one of the characters say. Julianne Hough (Dancing with the Stars, Grease Live) and Josh Duhamel (Transformers, Las Vegas) are the cutie couple blessed by actress Cobie Smulders (How I Met Your Mother). 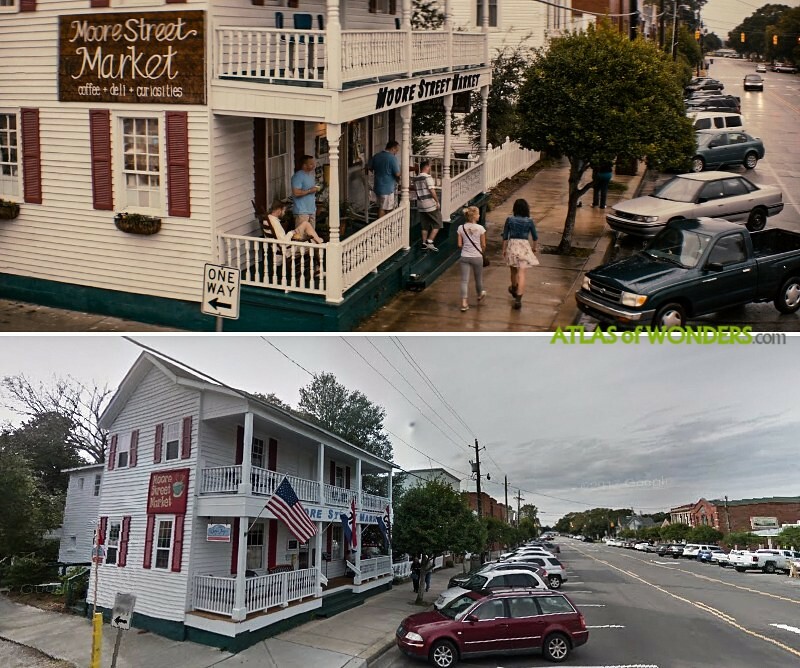 The central location of the movie is the general store, that was situated almost in front of Alex's House in Brunswick St.
<< MINI-SPOILER >> Ryan's Port Market was built for the movie and burned down, so it doesn't exist anymore. 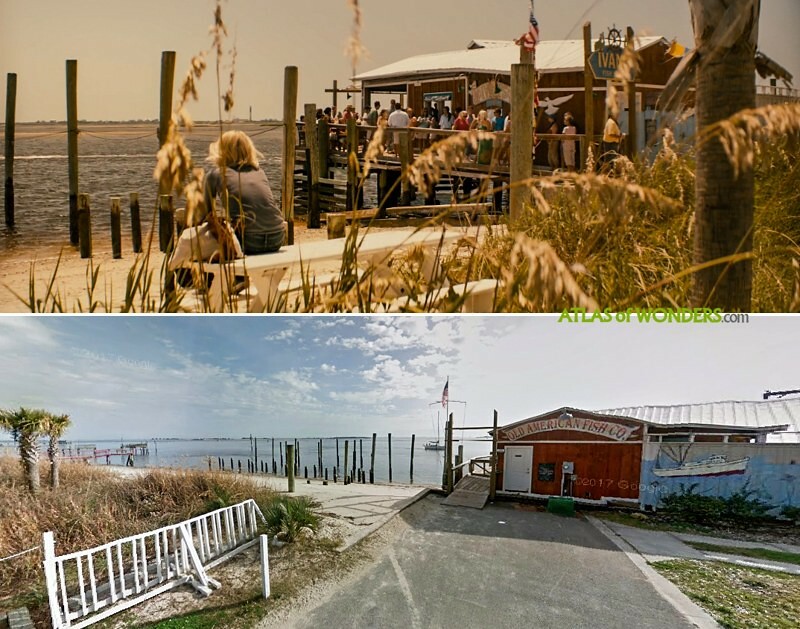 The restaurant where Katie works as a waitress (Ivan’s Fish Shack) is the Old American Fish at 150 Yacht Basin Dr.
Katie and Jo go for a coffee at Moore Street Market at 130 E Moore St. 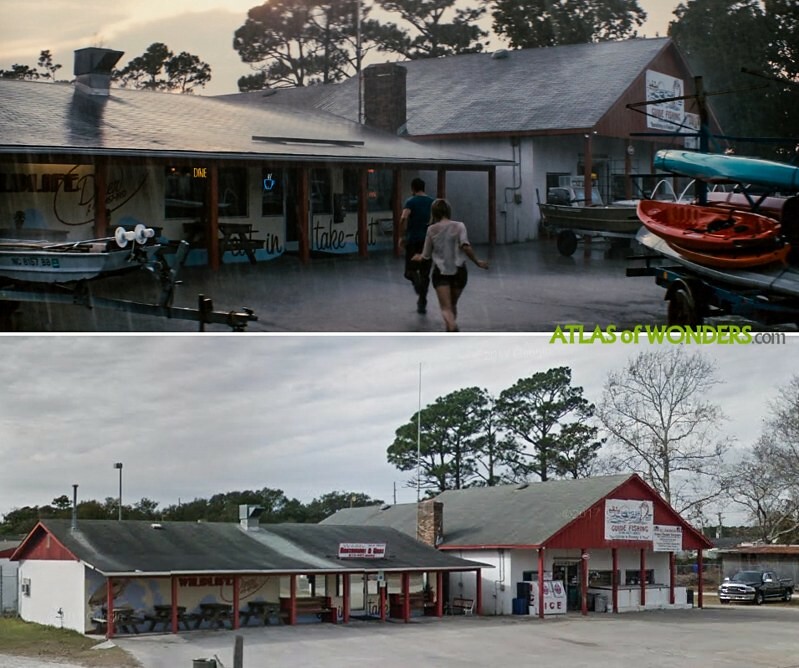 When it's raining, Katie and Alex find refuge at the Wildlife Restaurant & Grill on Oak Island. Also there's a very short scene with Katie sipping oysters filmed at Ports of Call Bistro in Southport. 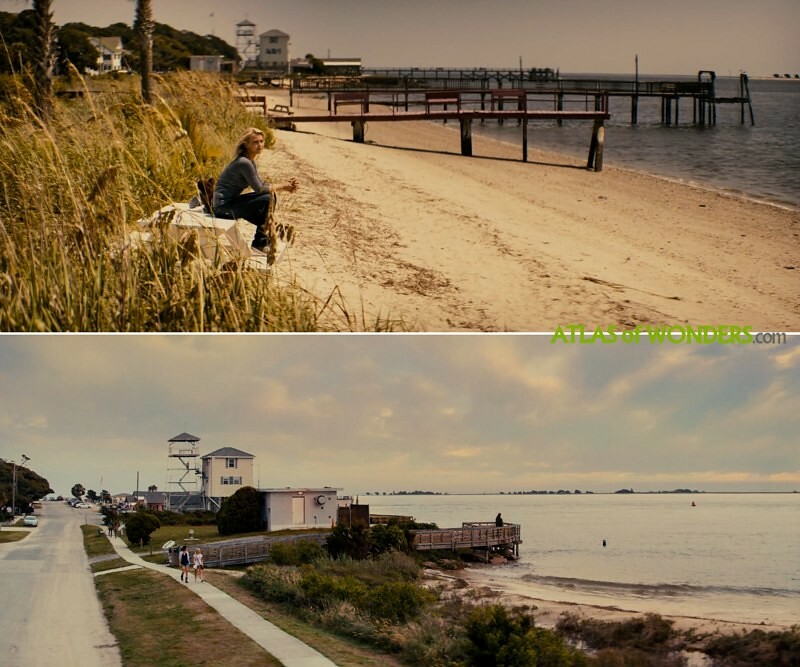 The scenes on the beach were shot at Fort Fisher State Recreation Area, in Pleasure Island. 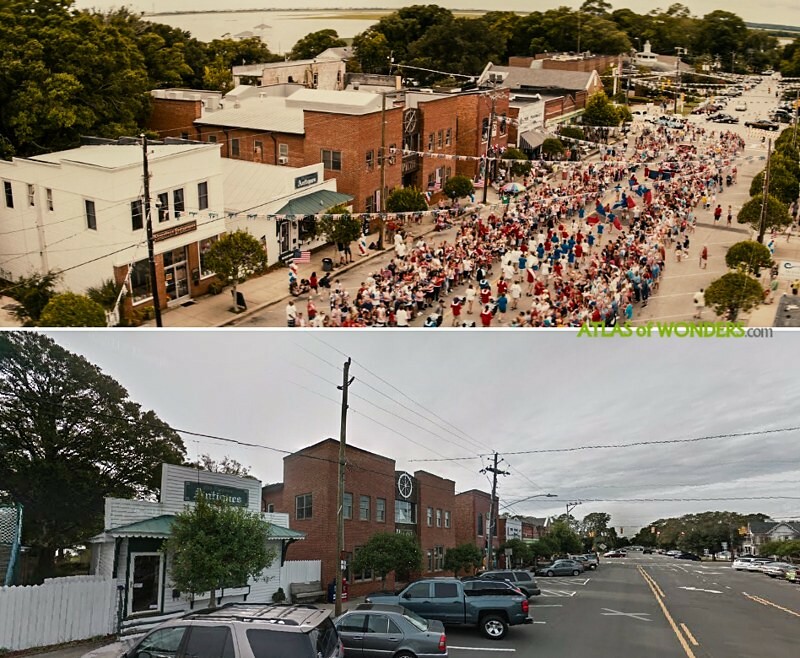 Fort Fisher Ferry Terminal was used for some external shots. 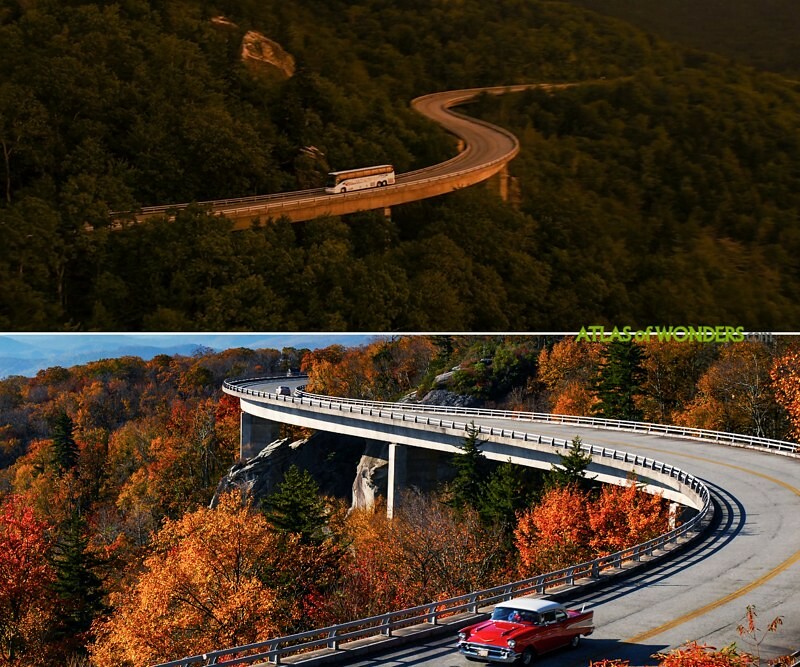 During the opening credits, the bus goes along the spectacular Linn Cove Viaduct at the Blue Ridge Parkway. The romantic kayak tour takes place in the cypress swamp in the area of Winnabow. 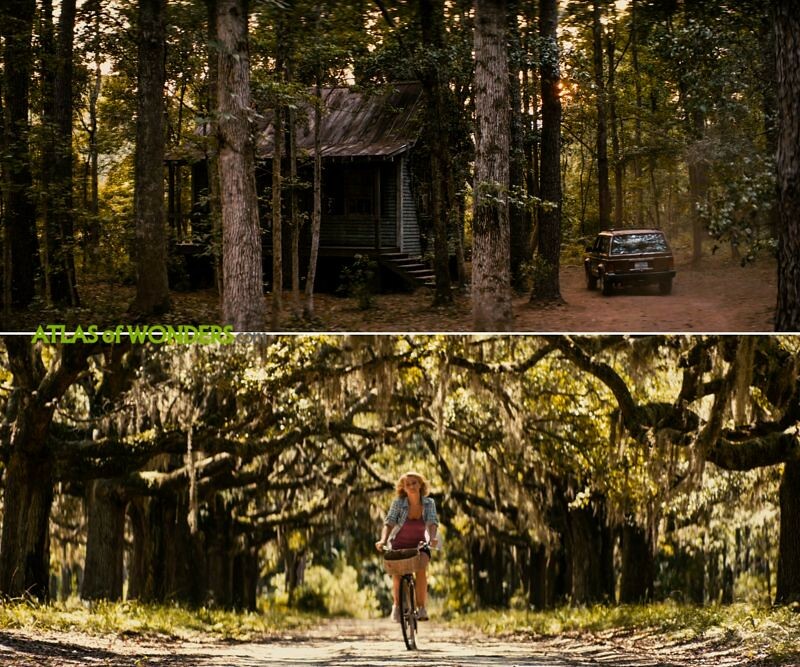 Can you help to improve this post about the filming locations of Safe Haven? To complete and correct this report, any feedback, info or images that you may have are more than welcome, thank you!